The Sidhil Softrest Contour Foam Pressure Relief Mattress is a fantastic solution for individuals at high risk of developing pressure ulcers, reducing pressure on key areas to help skin stay healthy. However, over time the included cover can become damaged or worn, leaving the mattress exposed and vulnerable. The Cover for the Sidhil Softrest Contour Foam Pressure Relief Mattress is a replacement cover for your mattress, enabling you to keep it fully functional for longer. To improve durability and quality of care, the cover is multi-stretch and water resistant. The vapour permeable polyurethane (PU) cover is antimicrobial to reduce bacteria and odour, and washable so that you can keep your patient's environment sanitary at all times. Please note that this listing is for the cover only, and does not include the Sidhil Softrest Contour Foam Pressure Relief Mattress. 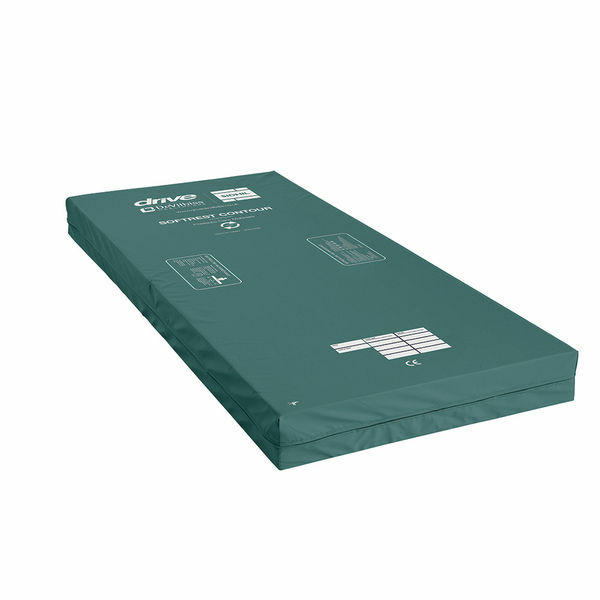 Please be advised that the Replacement Cover for the Sidhil Softrest Contour Foam Pressure Relief Mattress is usually delivered within 1 week of your order being placed. We would advise you to consider this delivery estimation before placing your order. For more information, please contact our Customer Care Team at 020 7501 0592.